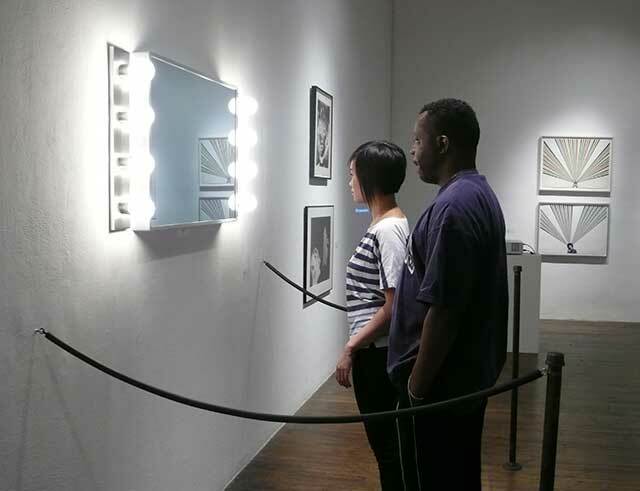 Tell Me the Truth is an interactive artwork that consists of a rectangular mirror on the wall, about 20 inches high. 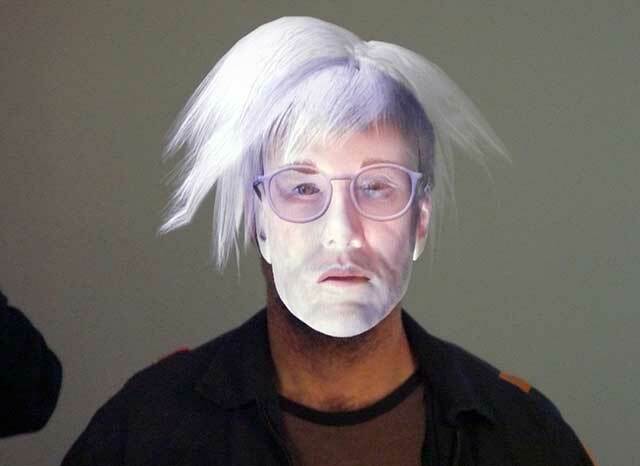 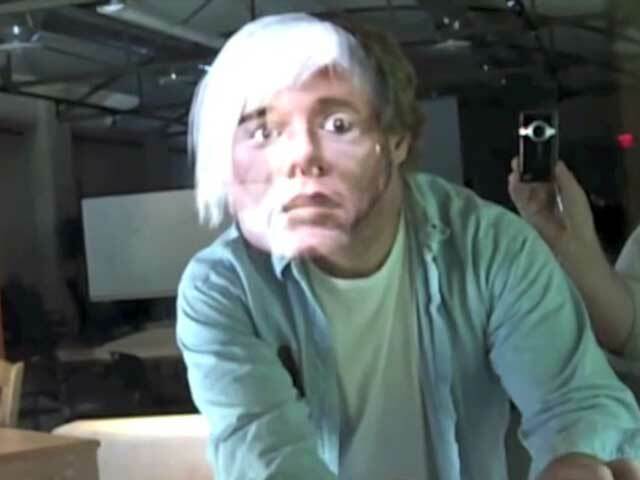 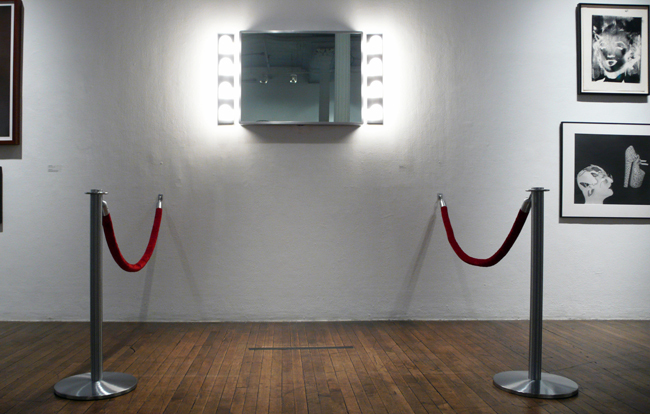 When approached, the mirror transforms the viewer’s face into the iconic artist, Andy Warhol. 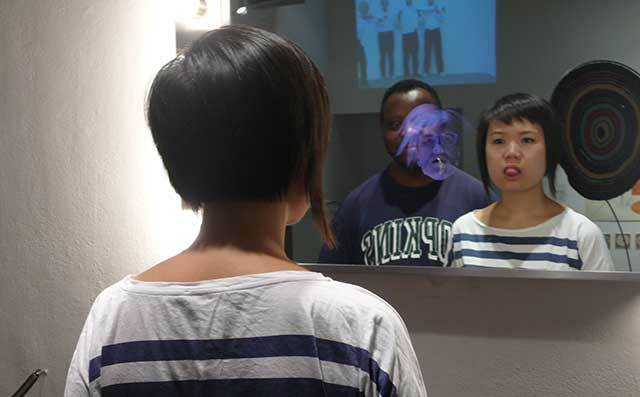 This transformed image reflects and mimics the viewer’s movements. 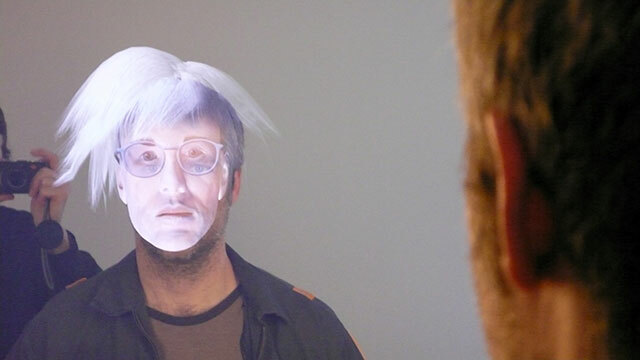 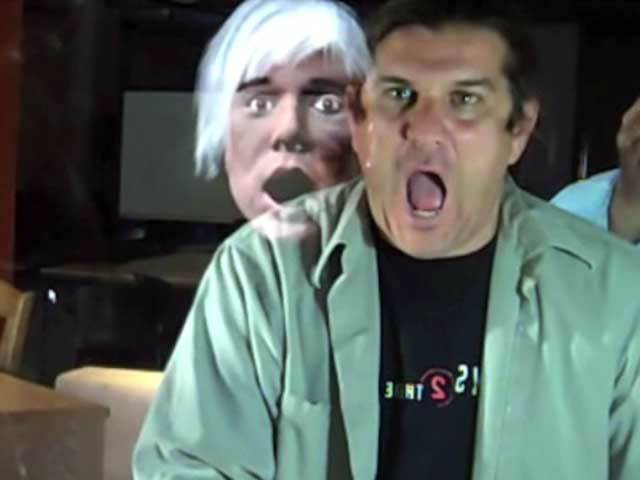 When the gestures, faces or behavior of the viewer are out of range with the character, the star takes over and plays his own persona, occasionally reciting a short, typically Warholian sentence like: “That’s great,” and “Wow, that’s amazing.” Because of perspective and sight-lines, the experience is unique to the viewer. 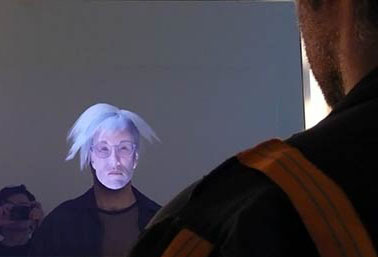 When a person approaches the mirror a video tracking system is activated, gradually turning the mirror transparent and displaying the avatar on a LCD display. 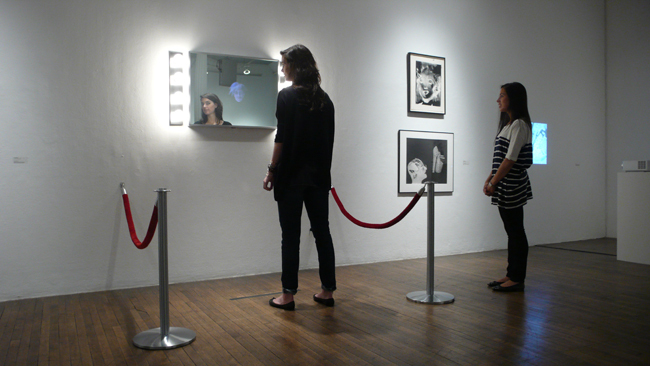 The mirror, when illuminated from behind, obscures the viewers image while Warhol’s shines through the material. 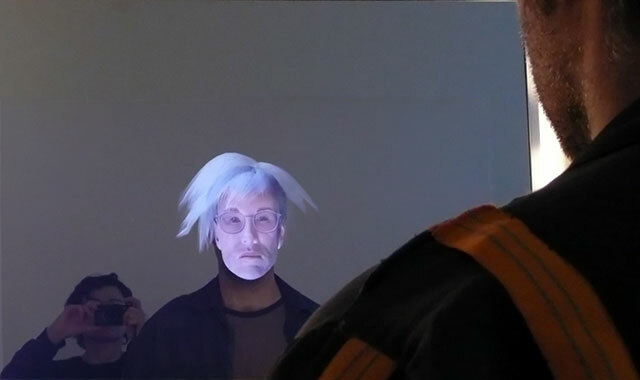 You can follow the project’s development here.